Even a quiet cow can become very agitated around calving and for that reason it is vital that the correct facilities are in place on the farm to safely deal with them. A good calving pen will help to ensure safety for the farmer. Calving pens should be a common feature on every farmyard calving cows to ensure the safety of both livestock and the farmer. However, a poorly designed isolation pen can also be dangerous if there is no quick exit available and may place the farmer in danger. Calving pens on a farm will generally end up being used for a multitude of reasons but ideally then should be kept purely for holding cows on the point of calving. They should never be used for holding sick animals as this can lead to bacteria being present in the pen that a newborn calf could be particularly susceptible to. Man escape gates provide a quick escape route from the pens. It is vital to be able to view cattle without entering the pen. Additionally, there should always be a quick way to exit the pen. There are several options for slip-through points. Some will form part of the gate, while another option is to have two posts positioned far enough apart that you can easily and quickly exit through them. 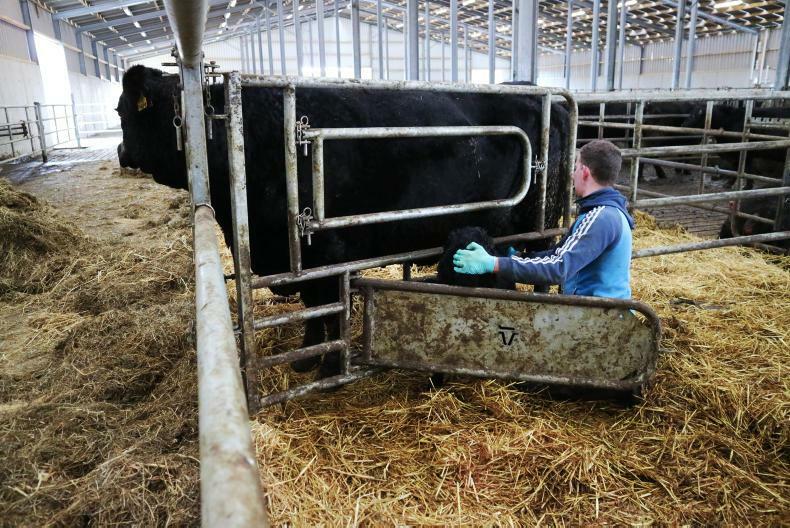 Many farmers will include a calving pen when installing a new suckler or cubicle shed through TAMS but it is important that they are mindful of the Department specification S147. The minimum dimensions of a calving pen must not be less than 3.5m by 4.8m, while the maximum dimensions must not exceed 6m, according to these specifications. 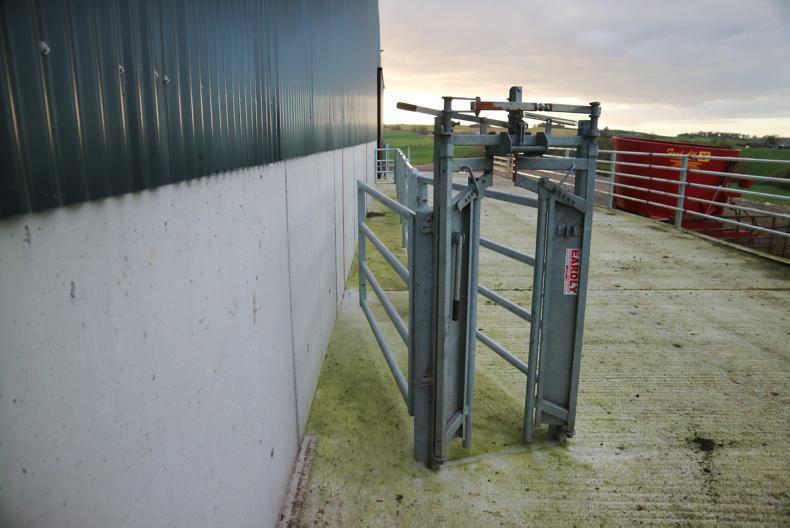 Access to calving pens must be either from directly outside the building or from a suitable passage within the building. In no case can the only access to calving pens be through another pen. This can be achieved through having an access door to each pen along the back wall or by having a double creep. The third option is to have a small passage, similar to a crush, running along the back wall of the shed. Not only does this provide safe access, it also allows for easy observation of cows. It is recommended that at least one calving pen must be provided for every 15 to 20 cows. A slip through point can also proivde a quick ropute of escape. Gaps should be no more than 325mm wide. Every calving pen must also have access to a calving gate within a pen. 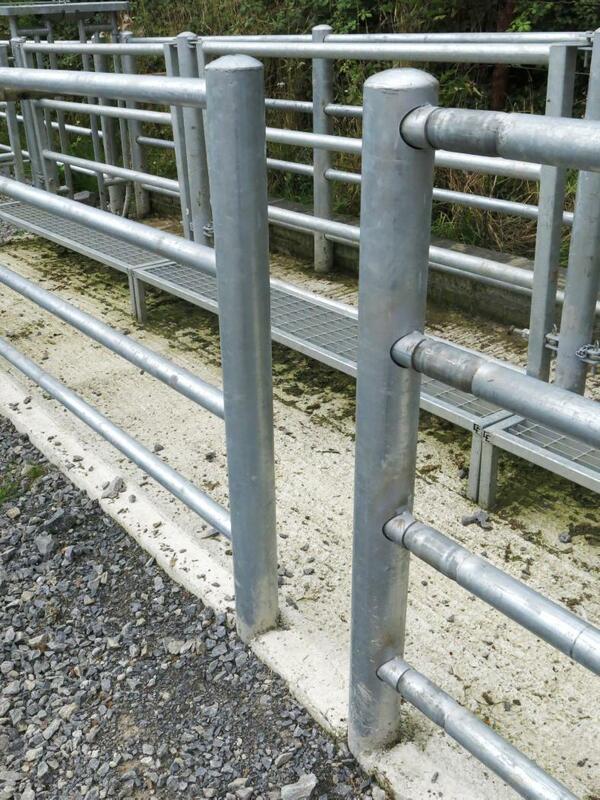 It is strongly recommended that a separate calving gate is installed in every calving pen. However, there must be at least one calving gate between every two calving pens. Where a calving gate is shared between two pens, a system must be in place to restrain the cow and calf in the other pen while the calving gate is in use. All walls within the pen are strongly recommended to be constructed of mass concrete. Gates within the pen must have at least four rows of rails. It is also mandatory to have a tying arrangement for cows available in each pen. A lighting level of 100 lux must be provided for calving pens. This is a higher requirement than a standard shed, which only has a requirement of 50 lux. Calving pens do not require a separate collection or disposal system from that of the main herd, unlike isolation pens. Angling the crush out from the wall allows access to both sides of the animal. Many farmers will often install a crush in close proximity to caving pens and there are a few areas to be conscious of if doing so through TAMS. There must be a minimum distance of 4m (and preferably 6m) between the front end of the cattle crush and any facing wall, solid barrier or door (less than 3m wide). This is to allow cattle to exit the crush safely. Where possible, to allow for caesarean sections to be carried out, where the crush runs along a wall then it should run from right to left. This is because it is necessary to access to the left-hand side of the animal for undertaking a caesarean section. One option for the crush is to have it angling out from the wall to allow access to both sides of the animals whether it is for inspection or injecting of cattle. For holding pens, there is a requirement to have at least one slip-through point. It must be no more than 325mm wide. It helps improve safety as it reduces the incidences of farmers climbing over side rails. The reference cost for a calving pen through TAMS is €205.20/m2. 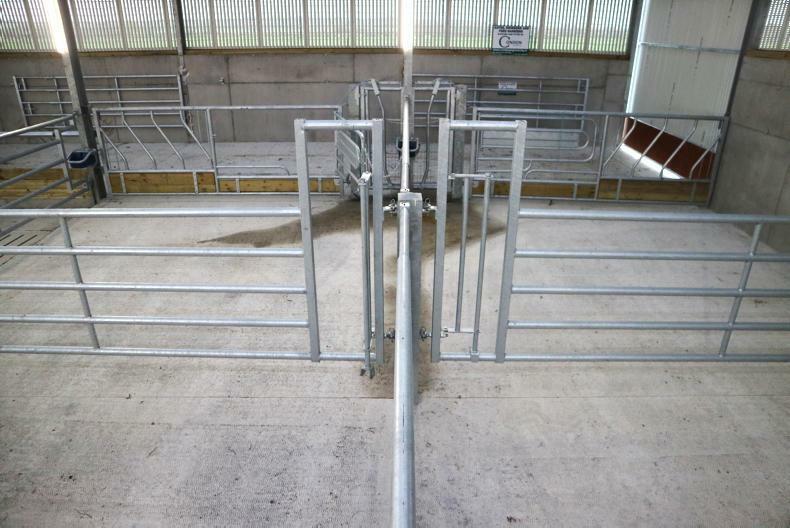 The cost includes the entire structure and all fittings including the calving gate. Low-emission slurry spreading is an ever-growing area due to requirements through schemes such as GLAS, and obligations in derogation to spread all slurry after 15 June using such equipment. When a farmer is applying through the Targeted Agricultural Modernisation Scheme (TAMS), they will generally be subject to an €80,000 investment ceiling. However, if making an application through the Low Emission Slurry Spreading (LESS) Equipment Scheme, they have an additional investment ceiling of €40,000. Where two or more eligible farmers are in partnership, this ceiling increases to €60,000. Minimum investment through the scheme is €5,000. Work carried out by Teagasc has shown the advantages of using low-emission equipment, with a trailing shoe reducing ammonia emissions by 28%, when compared with a traditional splash plate, a week after application. With the growing pressure on agricultural emissions, it would not be surprising in the near future to see all slurry being spread with low-emission systems. 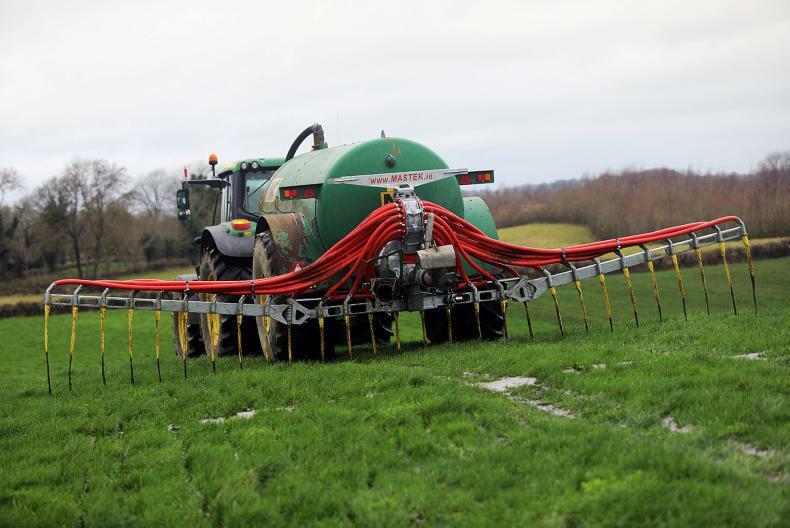 While other advantages such as increasing the N value of 1,000 gallons by approximately three times are clear, the real advantage that was seen in the early parts of 2019 was how farmers were able to get out to heavy covers with slurry. With strong covers present, spreading with a splash plate leads to high contamination of grass. A slurry tank is eligible for investment but only when it is purchased along with a low-emission spreading attachment. The trailing shoe attachment is only eligible when purchased with the slurry tanker. It must be able to part the grass and place the slurry directly on to the soil, rather than on top of the grass. Again, a shallow injection attachment must also be purchased with a tanker and it must place slurry below ground level, directly into the soil. A dribble bar attachment, also known as a band spreader, can be purchased without a tanker. It is the only attachment which can be retrofitted to an existing tanker. General dribble bars are not required to cut a slit in the ground. However, a system that cuts a slit on the ground but places the slurry on top of the ground, such as a slurry spike, is classified as a dribble-bar system. If purchasing an umbilical system through TAMS, the farmer is required to purchase the base pump, hose reel and fittings. One of the spreader attachments must also be purchased and an option exists to purchase up to 500m of lay-flat hose. For any of the spreading attachments, the reference cost is based on the spreading width. There can be a large variation in costs, so it pays to shop around.